So-you want to get Asian take out? Don’t feel like going to pick it up? How about make-in? 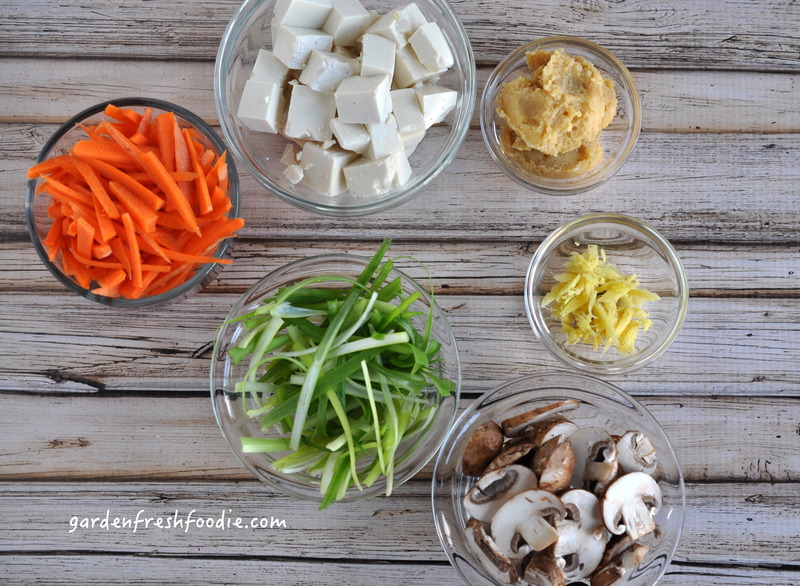 You can make your own miso soup in under 10 minutes!!! 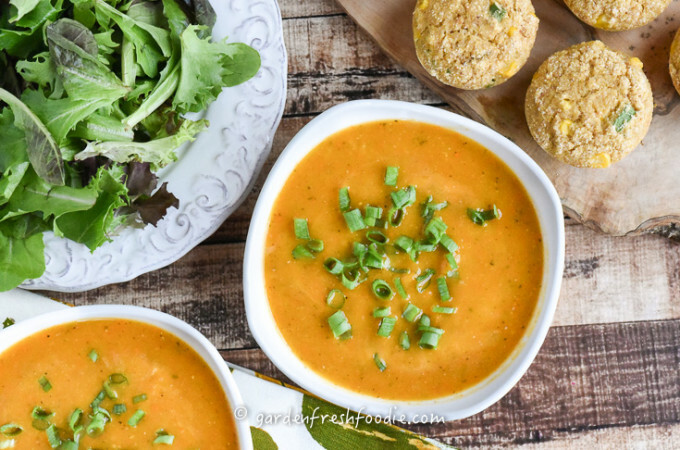 This soup is so easy to make and it can be a full meal if desired. I have made this as a quick lunch, served it along side an udon noodle stir-fry, or added noodles to it, and made a noodle bowl. The possibilities are endless! 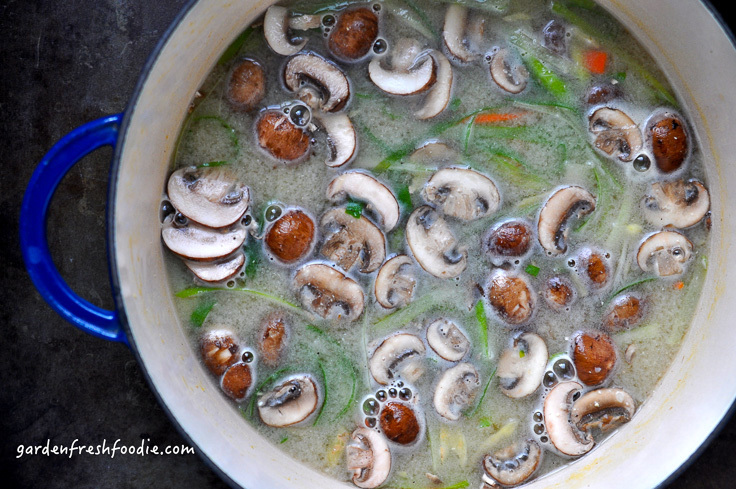 Add some greens to the soup at the end and you can boost the fiber, calcium, and protein even more. 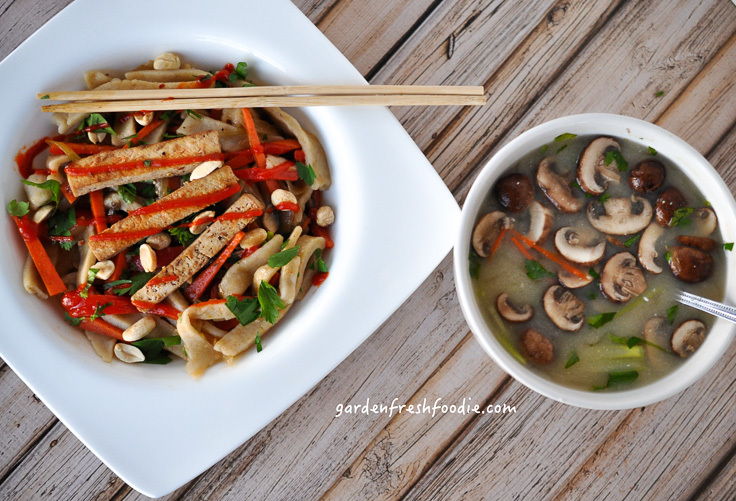 It’s so easy to make Asian inspired meals at home and so much healthier. This soup is made without any added oil, unlike pretty much all foods made in a restaurant. If you’re trying to watch your oil intake (which we all should), try to eat at home as much as possible. This puts you in control of what’s in your food, and helps you to control the level of freshness, fat, and salt in your foods. Shown below is our miso with a gluten free yaki udon I made. 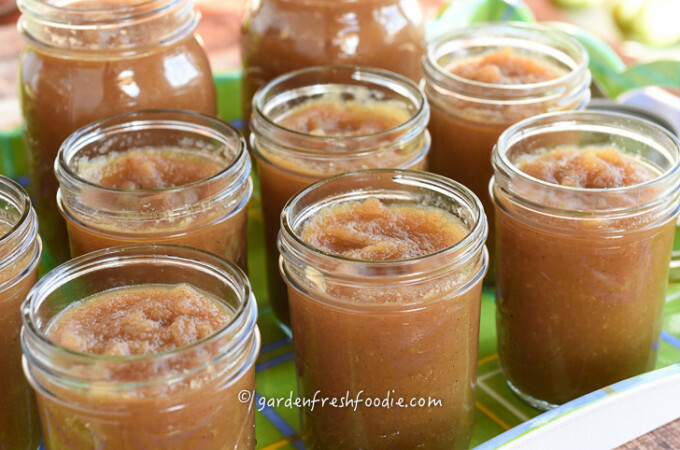 Miso is a fermented paste made out of soybeans. I like the white/yellow miso. It’s mild and doesn’t compete with the other flavors in your dish. I buy it where the tofu is sold, usually in the organic section of the store. I only purchase organic soy products, as soy is one of the most heavily genetically modified crops in the world. By purchasing organically, you make sure that you’re supporting healthier growing habits, as well as supporting non-GMO crops. This is another reason to make your own food. Rarely would you find an Asian restaurant using organic products. I know of none in our town. 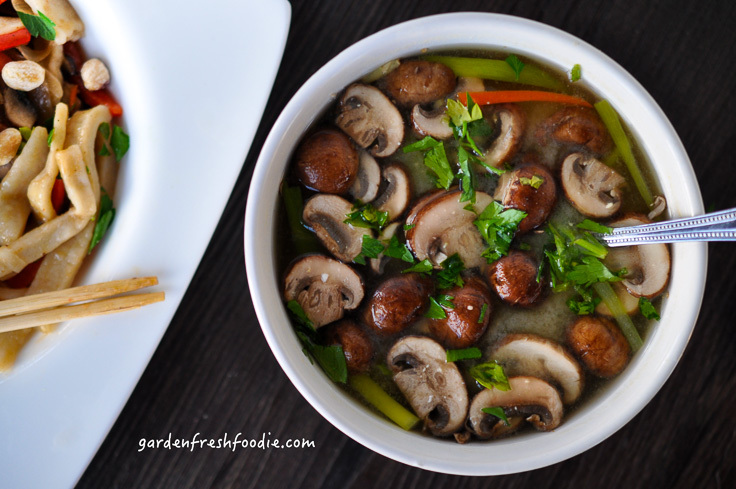 I used silken tofu for this, as it’s softer, smoother texture is warm and comforting to me in a soup. It’s a great source of plant-based protein and calcium. Plant-based sources of calcium are also better absorbed by the body than animal-based sources. This soup comes together in 10 minutes, which is why it’s important that you get all of your ingredients prepped ahead of time, so you can add them quickly. 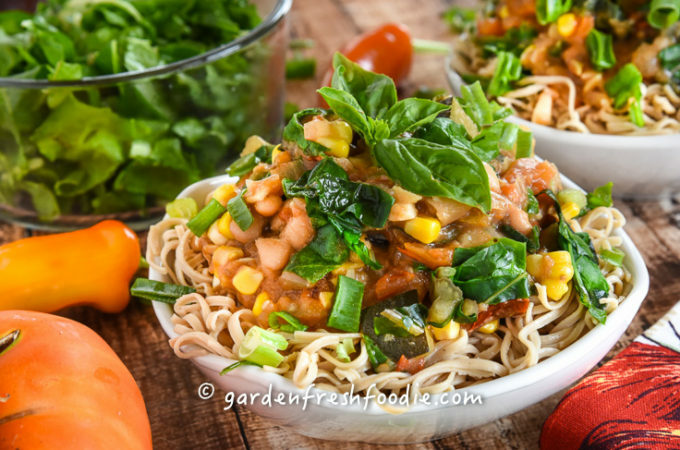 You can add greens to boost the calcium in this dish and with noodles to make it a noodle bowl. Place water and miso paste into a pot on the stove on medium heat. Stir until dissolved. 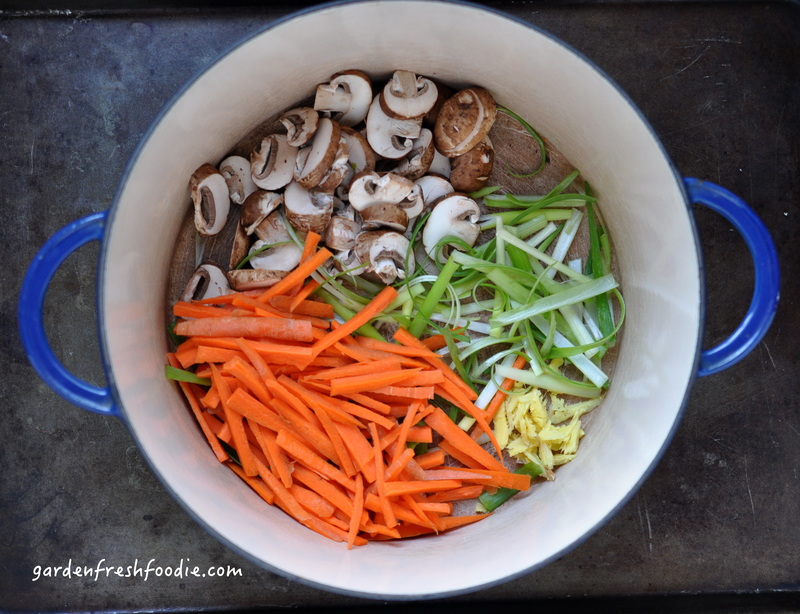 Add in remaining ingredients and bring to a simmer for a few minutes until flavors have married and veggies have softened, about 5-10 minutes. Sir in fresh greens if desired and top with chopped cilantro or parsley. Serve topped rice or soba noodles if a noodle bowl is desired. That’s it. That’s how easy it is folks! Awesome as a side with some stir fry. Carrots: high in Vitamin A which helps to improve eye, skin, bone, and dental health, as well as helping to regulate blood pressure. Add in remaining ingredients and bring to a simmer for a few minutes until flavors have married and veggies have softened, about 5-10 mins. Sir in fresh greens if desired and top with chopped cilantro or parsley. Serve topped rice or soba noodles if a noodle bowl is desired. That's it. That's how easy it is folks! Made this recipe last night on a rare rainy evening here in LA. 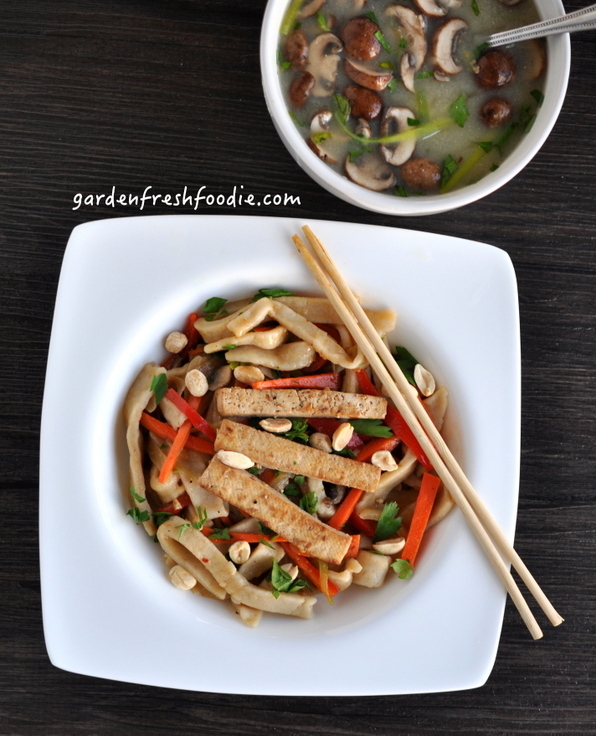 Added Udon noodles – the whole family loved it and everyone took seconds! I will be adding this to my rotation of dinner ideas. I do have to say that I felt great after eating it too. So glad you all enjoyed it Jill! This is one of my comfort foods! 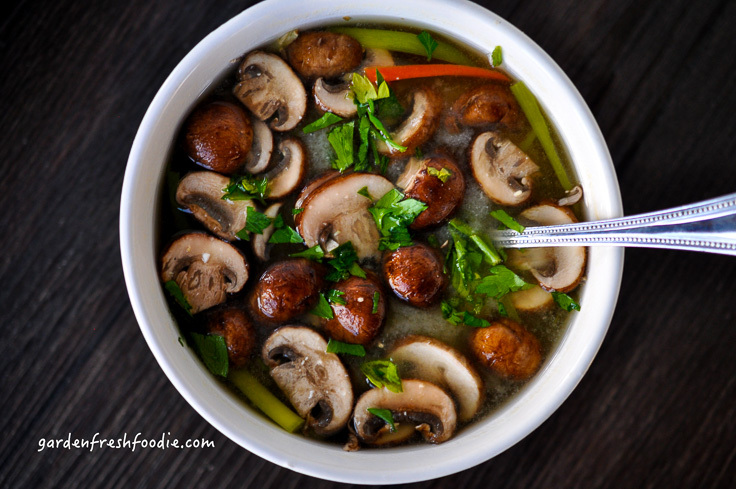 Love it too as a faux Pho! Enjoy! We just made this last night – I used red miso instead of white, and put in udon noodles, and fresh asian greens. It was wonderful enough to pass as a hearty meal for dinner for my husband, who ususally prefers not to eat “soup” for dinner. We will make this one again! So glad to hear that it went over well in the house 🙂 I used to have a hubby like that, but he has been converted! I love it as an noodle bowl too!